There are currently no upcoming soccer listings scheduled on USsoccer.com. Are we missing any soccer listings for USsoccer.com? If so, please let us know. USSoccer.com provides comprehensive coverage of all the US National Soccer Teams on the coverage of both the Men’s, Women’s and Junior U.S. National Teams. Programming available on USSoccer is available via their website, YouTube channel as well as social media live broadcasts such as on FB Live and Twitter Live. 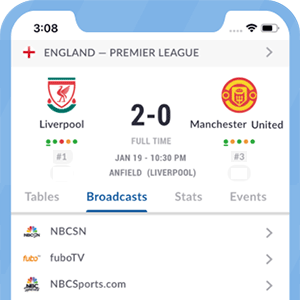 Programming on USSoccer includes coverage from all competitions that the National Teams participate in and features premium competitions such as the FIFA World Cup, FIFA Women's World Cup, FIFA's Youth Championships, Olympic Soccer, CONCACAF Gold Cup and more. Also covered is the US National Teams' qualifying matches and friendlies. Broadcast schedules for USSoccer are published on this channel page in order to keep US Soccer fans informed on their National teams.